It seems likely that parts of St Fillan's church dates back to at least 1123, possibly even predating neighbouring Aberdour Castle with which its history is so closely entwined. 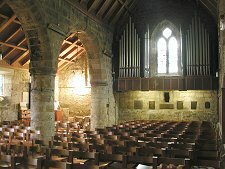 The original church comprised just the nave and chancel. The north wall of today's church and much of the chancel are likely have been part of this first structure. The first link with Aberdour Castle emerged in 1180, with a dispute between William de Mortimer (who built the castle's original tower house) and the Priory of Inchcolm about filling a vacancy for the chaplaincy of the church. The Priory won. 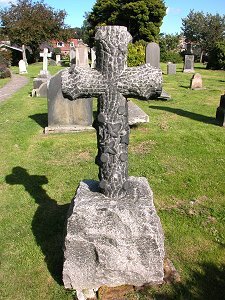 The church was first recorded as being associated with St Fillan in 1390. A south aisle was added to the church in the 15th century, giving it the charmingly asymmetrical layout it has today. Further changes including the addition of the belfy were made in the 16th and 17th centuries. 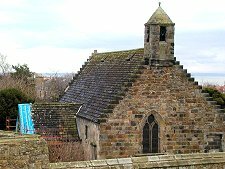 In about 1640 the Earl of Morton, by then owner of Aberdour Castle, erected a family gallery in the area now occupied by the organ pipes. In the early 1700s another dispute over the occupancy of the ministry arose on the death of the incumbent. This time the laird won, and the Earl of Morton imposed his choice against the wishes of the population. The result was the mass exodus of the congregation to neighbouring parish churches. In 1790 St Fillan's Church fell into disuse and by 1796 was a roofless ruin. The circumstances are not entirely clear. 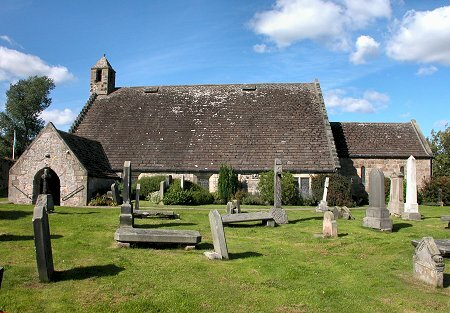 It is said that the Countess of Morton of the day was unhappy that the ordinary population should congregate so close to her home (though the family had moved from Aberdour Castle to nearby Aberdour House in 1725), and pressed for an alternative parish church to be built at the west end of Aberdour. This duly happened. It would seem, however that even this was not enough. It is recorded that a "lady of title" wanted to have the walls and churchyard flattened so as to stop them getting in her way when she was out hunting. Thankfully she did not succeed. Today, St Fillan's is a beautiful little church with a wonderful atmosphere whose one-sided interior seems oddly sunken into the surrounding landscape. Externally it enjoys superb views across the Forth to Edinburgh and the Pentlands beyond. 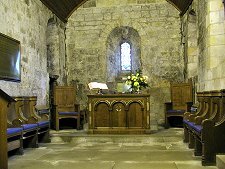 The church today is far from a ruin, and now serves the Aberdour parish again. This is due to the vision and commitment of local people who raised the funding needed to start restoration in 1925. This work included the removal of a large tree growing in the chancel arch. 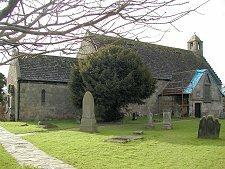 St Fillan's held its first service in well over a hundred years on 7 July 1926: and in 1973 it celebrated its 850th anniversary. In December 2013 the church was damaged by fire, but it reopened again for worship in Autumn 2014.